Training and continuing education facilities visited by all employees of the Bank group derives its architectural character from a frank expression of its technology and environmental systems. 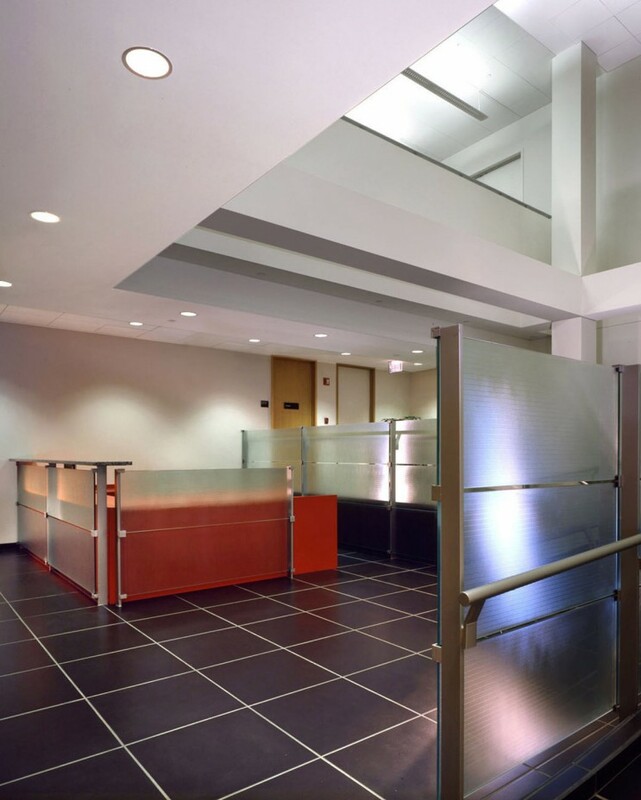 The addition achieves the client’s goal of providing employees with updated and attractive office and support space to accommodate computer programmers and systems support administrators who manage the network infrastructure for the banks. 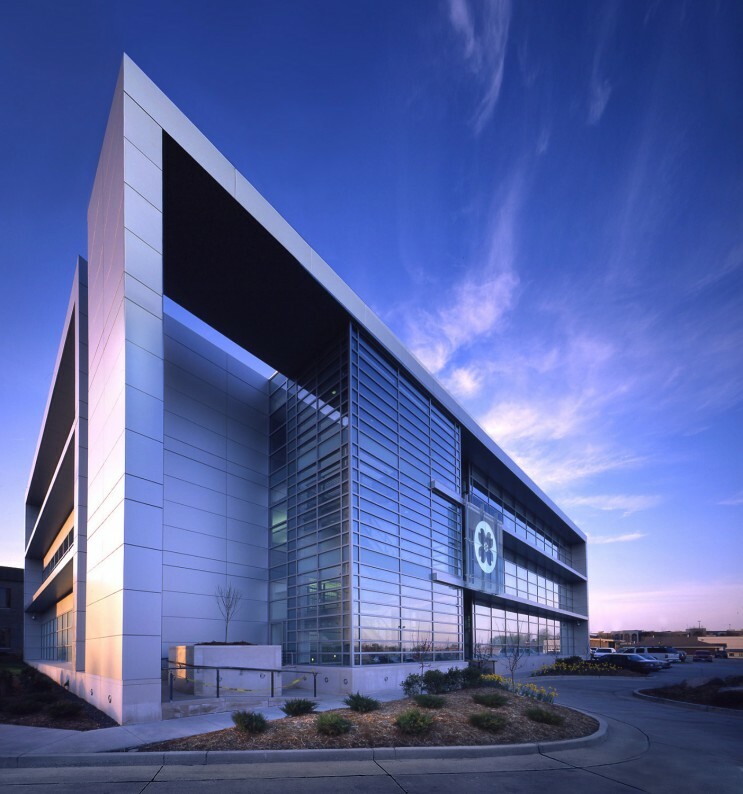 Seamlessly integrating the structure’s architecture and technology, a raised-floor air plenum mechanical system coupled with a flexible office studio configuration yields an environment that is easy to reconfigure. 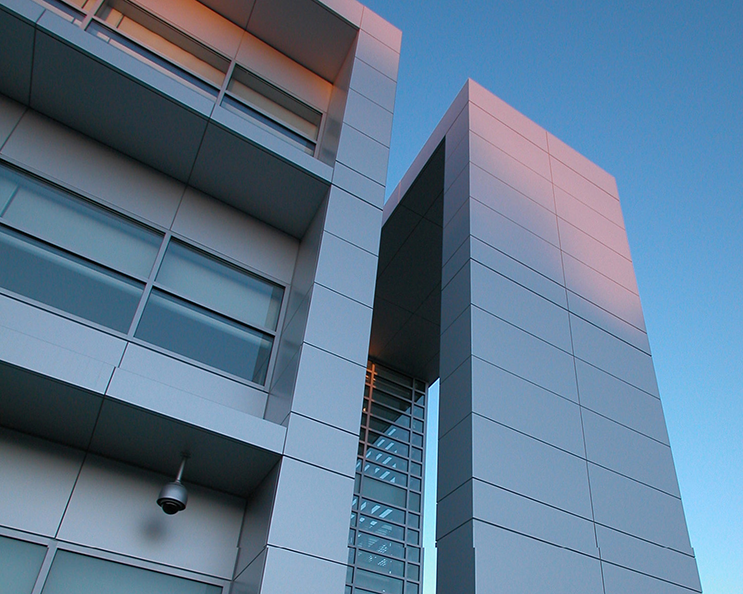 Photoelectric controlled solar shades and overhangs on the elevations support a comfortable, energy-efficient environment. 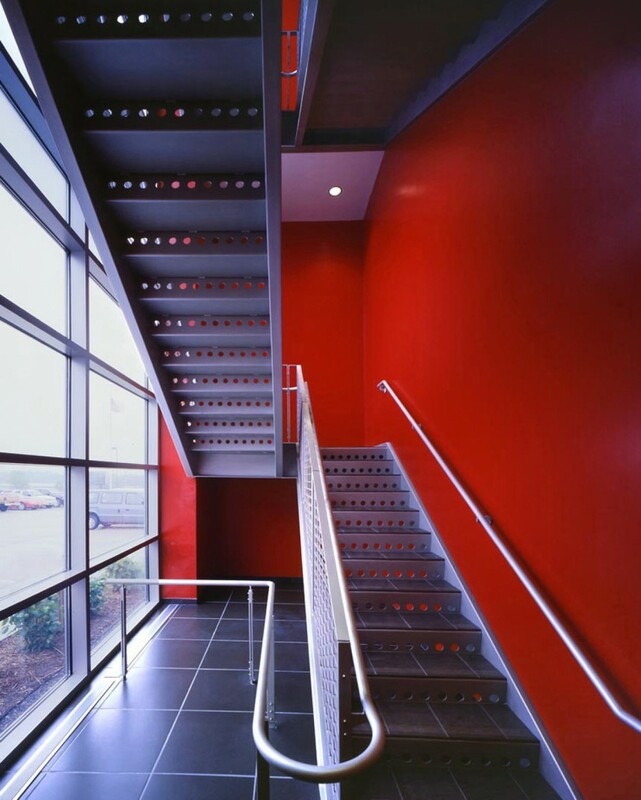 Perimeter, highly visible stairwells act as another screening device to manage natural light. The design provides a state of the art Services Operation Center that allows for continued growth and enhanced technology functions for the bank and its affiliates.